For further information on the programme and registration, please click here to download the brochure. For further information on the programme and how to register, please click here to download the flyer. For further information, please click here to visit the website. Registration is free and numbers are limited. For further information on the programme and how to register, please click here to download the invitation brochure. For further information on the programme and registration, please visit the AIM-RADIAL 2012 website. 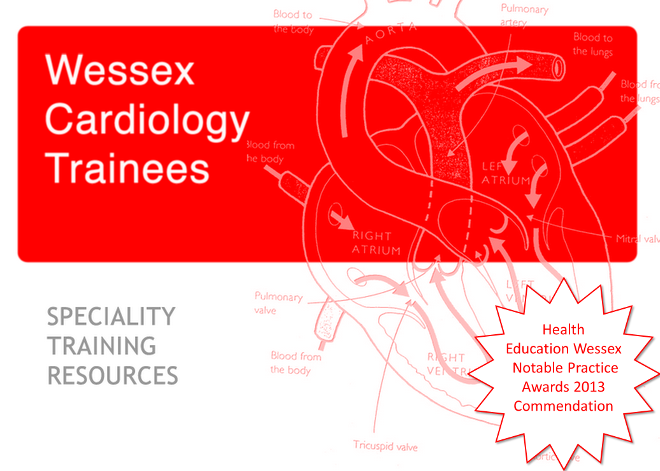 Fully funded for subspeciality trainees. For further information, please click here for further details. A sponsored course, free to delegates. Register early to avoid disappointment. A reminder about tomorrow evening's meeting for those interested in attending. The next Hampshire Heart Failure Group meeting takes place on Wednesday 11th July, at the Winchester Hotel, Worthy Lane SO23 7AB. Discussion and cases chaired by Paul Kalra, followed by dinner. Please bring along any cases for discussion. The meeting is kindly sponsored by Servier. Please confirm attendance to Leanne.